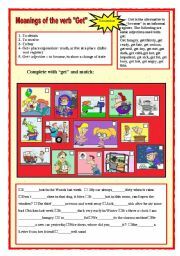 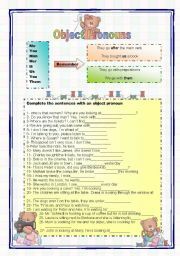 Meanings of the verb "Get"
A worksheet about the meanings of "get". 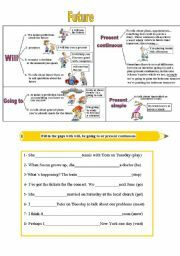 I´ve left out the phrasal verbs with get. 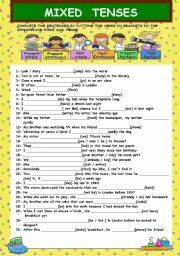 A worksheet for beginners to practise the possessive case and the possessive adjectives. 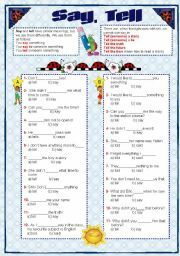 Grammar and exercises about object pronouns. 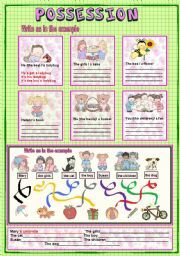 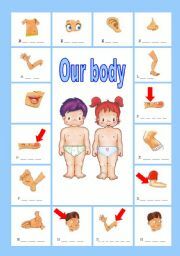 The images belong to "Cute colors".